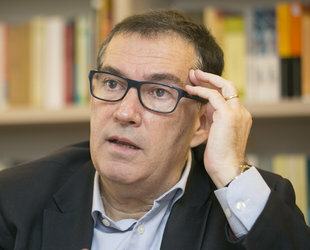 JAUME ALONSO- CUEVILLAS ORIOL DURAN. 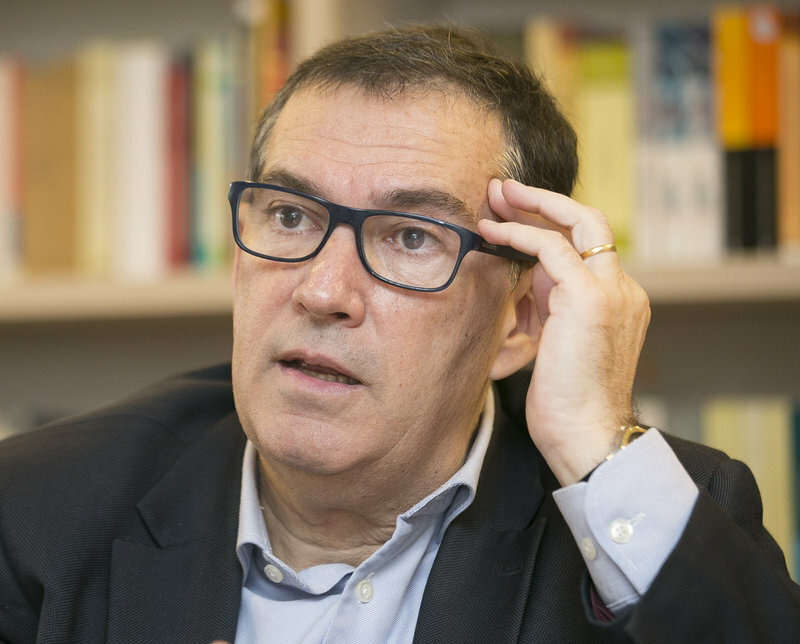 Jaume Alonso-Cuevillas is now a well-known face beyond the legal and academic fields. For over a year now, he has entered the homes of many Catalans and instructed us, through the media and talks around the country, on how European arrest warrants work, the criminal process and complex legal concepts. 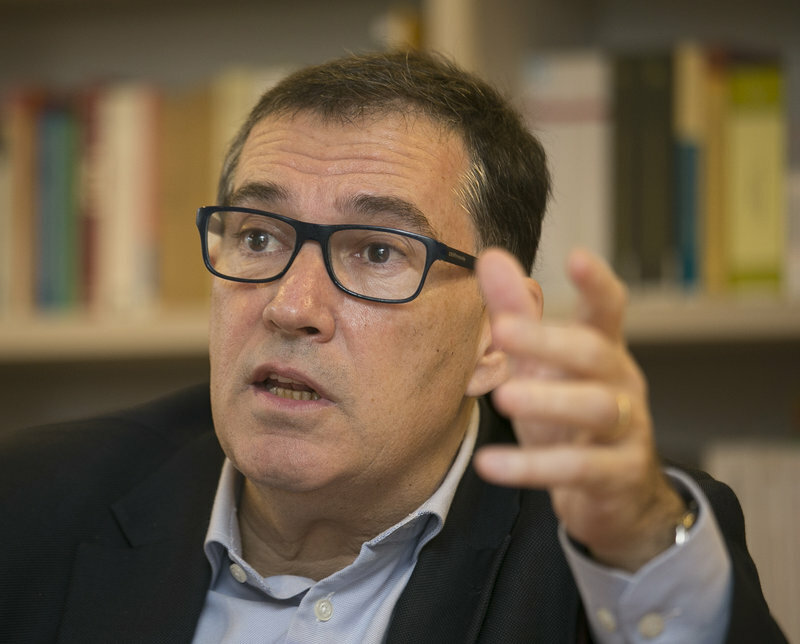 Friendly, ironic and didactic, he has been key, together with his colleague Gonzalo Boye, in understanding what has been happening in Brussels and the possible fate of president Puigdemont and exiled former government ministers Comín, Serret, Puig and Ponsatí. When did you join the Catalan government’s defence team? It was on September 7, 2017, after the plenary sessions on separation from Spain. I wasn’t a member of any party and didn’t know President Puigdemont either, I’d only met him briefly once. Then Cesc Esteve called me, who was Director of the Catalan government’s legal office and had been a student of mine. He asked me if I wanted to defend the government. I was shocked at first. He told me to think about it and that the next day he would call again needing an answer. Obviously, I discussed it with my family and colleagues and the next day I said yes, I would take it on. I was summoned to the president’s offices on September 11 and met the president and all the ministers. I told them that we needed more lawyers, that I couldn’t do it alone. That was the first contact. A big responsibility, but financially a bit ruinous [laughs]. Did you realise the case was so serious? No, at that time I didn’t think of everything that would come out of it. I now have the perception that it will have a great impact. The first complaint, presented before the TSJC (the Catalan High Court), already included the accusation of misuse of public funds, which means prison sentences. It was already a step further than 9-N, but it was still regional in scope. We were at home, in the high court, which you can get to on your motorbike. Now it’s another thing altogether, we’re in the Champions League. When did you get the feeling things might get complicated? Obviously when the Jordis were imprisoned, although there had already been a prior warning, when Méndez de Vigo came out after the demonstrations on September 20 and used the word “riot”. To us lawyers this started the alarm bells ringing and we knew that meant sedition. And then came the first accusation of sedition. At the beginning there was still the conviction that “They wouldn’t dare”. But then they did dare, and the Jordis were imprisoned, and then they went further and the following complaint was now for rebellion, imprisoning the government ... and all the rest. You and Gonzalo Boye became the link between exile and country. Did you already know him? I met him on November 2. I was defending the PDeCAT clients – it had already been decided that Van den Eynde would defend those in the ERC – and Boye took on the defence of Comín and Serret and they kicked him out because they told him that he didn’t represent anything. After a few days, all the lawyers and exiles had a meeting in Brussels – he had contacted the lawyer Christophe Marchand and his team and we had contacted Paul Bekaert. It was an arduous meeting, because we were switching between French and English. And Boye has always got these e-cigarettes and it’s quite a show, because he’s always filling it, changing it... and because what we told the Belgian lawyers was so unlikely and Boye was smoking that... I think that at that first meeting they thought we were all on pot or something. Since then, we’ve had a lot of contact. In some way, he’s taken on the defence abroad and I’ve had a coordination role between the foreign and home defence. European lawyers bore the weight of the European arrest warrants, Belgians, then Germans and Scots. On that November 2, was the government aware that they would go to prison? I made that first trip with ministers Turull and Forn and their wives in my car. And they took suitcases with them. We got contradictory information, because there was one sector of the Spanish government that was in favour of not making martyrs of them and granting them bail, withdrawing their passports, etc. And another, the Aranzadi sector, which took a harder line. And you always have that feeling of hope and think they won’t be so brutal. You said the Spanish government... were they directing them? Yes, I said the government. They were guiding the prosecutor’s office. The complaint was already filed, but in the end it depended a lot on what the prosecutor demanded, and we knew that we had a judge, Carmen Lamela, who is known for blindly following what the prosecution demands. Therefore, the issue was whether the prosecution would demand prison or not. And they did, except for Santi Vila, for whom they requested bail. Did you anticipate the prospect of such a long temporary imprisonment pending trial or were you still convinced they wouldn’t dare? I feared it when they presented the lawsuit for sedition, the Jordis were imprisoned and then with the rebellion complaint, which was presented with that document by the prosecutor entitled “The fall will be harder still” and the sounds coming out of the chief prosecutor’s press conference with “One, two, three, to prison!” and the climate that we experienced in the National Court on November 2, everything pointed to it being a very severe punishment. Then new lawyers came in and there was some hope when the case was passed to the Supreme Court. They thought that if they swore allegiance to the flag there was a possibility... But no, the Supreme was much worse. From the beginning we were clear that it was a political case and the repression would be brutal. In fact, they have been imprisoned for a very long time, but that’s not the worst of it, the most serious thing is the number of years in prison they’re demanding. Is there no hope they will be found not guilty? As a lawyer, I would have to say yes, but as a citizen who sees reality I have little hope. Because when you see the climate in Madrid... The lawsuit is surreal, in its interpretation of both facts and the law. And at first you might think it’s only the prosecutor’s office, but then a judge buys the story completely and translates it into a lawsuit. And then the appeals court confirms it all with so much severity. The discourse from the prosecutor’s office and everywhere else is very severe. Rebellion and sedition, or are there other options? A conspiracy for rebellion, for example, to justify less serious sentences? We would continue to be in the terrain of injustice. There are no criminal bases for any of these crimes, and... neither is there violence or uprising. Historically there was the crime of improper sedition, when there was no uprising, but it was decriminalised many years ago. There was also the crime of calling an illegal referendum but that was also decriminalised. At best we could debate whether there was disobedience or not. Until 9-N it was understood that disobedience towards the Constitutional Court had no criminal bases, and everyone had disobeyed it! Starting with the Supreme Court, the prosecutor’s office, the Spanish government... Everyone. They will try to be impeccable with the manner in which it is done, because they’re aware they will be observed. It will try to demonstrate to the whole of Spain that Spanish justice – the rule of law – acts, that punishment is handed down to dissidents, those who incite a coup.... However, this exactness will deteriorate as the trial progresses, because they will be in a hurry to finish before the municipal and European election campaigns begin. And I sense that the prosecutor’s office has asked for a lot of testimonials and evidence so that afterwards the court will seem fair in dismissing evidence from both the prosecution and defence. A lot of it will be dismissed. Is this why the case has been split between the Supreme Court and the TSJC? Numerous irregularities have been criticised in the case. And we now have the controversial appointment of Judge Llarena. Did they choose him? We have just finished the report and I will pass it to the defence teams first to decide what to do or whether to save it for the pre-trial questioning. The problem is the lack of transparency in the system of case distribution. The rules that govern the high court are not published and there has been some confusion. In the case of the Supreme Court, the rule is clear and it’s published, but there’s also no portal where we can transparently check whether it is applied correctly and you have to take it case by case. However, it turns out that there is no list of cases anywhere, so you have to go to the CGPJ documentation centre and take it sentence by sentence and build the puzzle of all the cases to see who the presiding judge was, and we’ve done that. We’ve compiled a report of over a hundred pages. And the conclusion is that the pre-established order was not followed in this case. We’ve been told it will all end up in Strasbourg, in the Court of Human Rights. What use will that be, after waiting years, apart from a moral victory? Strasbourg could be a moral victory with very important political weight, it could mean freedom for the prisoners if they are not free at that time, a very important moral condemnation of the State and a solution for the prisoners. But the emancipation of Catalonia will not depend on or arrive thanks to Strasbourg, it will arrive via the political, European path, if we are able to create the conditions for Europe to force the Spanish State to accept a referendum or to accept the emancipation of Catalonia. The Catalan political process is irreversible, 2,300,000 people have voted for the pro-independence option and that number’s on the increase, because more and more people are scandalised by the demophobia and the lack of rights and freedoms. There are polls that place independence supporters at between 55% and 60%, but because they won’t let us count we just don’t know. All this is accompanied by a great institutional crisis of the Spanish State, beginning with the monarchy, followed by judicial power, the army, the police, the secret services... And everything will be altered by a great economic crisis, when they soon begin to raise interest rates and the State is unable to pay not only debt but also the interests on the debt. There’s a serious short-term economic scenario in Spain, and this will entail a serious economic intervention. Europe will set conditions. Remember that in Italy they changed the prime minister. When the troika takes action, it’s hard. Going back to Strasbourg, the court will say whether rights have been violated, but can it pronounce on the right to self-determination and endorse it? It’s unlikely to do so explicitly, but maybe it can be done indirectly, through what we technically call an obiter dicta, as an addition, an insert in some reasoning, but I don’t think it will put itself in this situation. Strasbourg will pronounce on what it is asked to, and will consider aspects of the violation of legal procedures, as well as the violation of political rights, the flagrant violation of the non-investiture of Puigdemont, Sánchez and Turull. Strasbourg will not decide whether it was rebellion or not, then? No, but they may add some things. What is clear is that the court that has ruled on the issue of rebellion is Schleswig-Holstein. How far will this German ruling affect the judgment of the Spanish Supreme Court? Within the Spanish justice system, it’s like that joke where there’s a crazy guy driving the wrong way on the motorway and he thinks that it’s all the others that are crazy. Spain lives in a situation of judicial autarchy... But the Schleswig-Holstein ruling will have important weight for Strasbourg, due to what they said and the force of it. And how will the 1-O sentence affect president Puigdemont and the rest of the exiles? It won’t affect them. Within the Spanish legal system they are in a state of procedural rebellion and therefore they have not been tried and will continue in this situation until they can be detained and judged. But when there is a sentence they will issue new European arrest warrants, and when they do, one factor that will be very important will be the sentence dictated by Schleswig-Holstein. Throughout the Catalan independence process, what role did the Constitutional Court play? It has played the role of a political instrument in the service of constituted power. It has no credibility. The spectacle on a Friday afternoon when the judges left for La Sierra or wherever they go and the vice president called them back, meeting urgently and passing a resolution at 10 o’clock at night when nobody asked them to... it has no credibility. 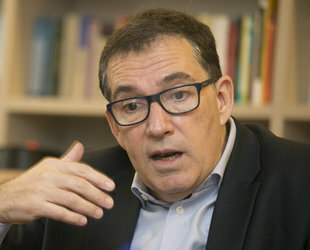 The conflict comes from the Constitutional Court, which is also the one that curbed the Catalan Statute – and from the point of view of comparative constitutional law it is unprecedented that a political court curb a law that has been voted for by referendum – and the one that declared that powers for holding a referendum cannot be transferred, when the Constitution in fact allows it... The problem is not the Constitution, it is the guardians of the Constitution. The Constitutional Court has been a tool for preventing self-determination in Catalonia. It’s hard to understand that such irregularity can go unpunished. If we lawyers don’t understand it, how can citizens? The “state sewers” have always existed, in all states and at all times. And in the Spanish case, the use of power to repress dissent has always existed. The process has helped us show this State for what it is, and led us to re-interpret things that happened in the Basque Country, for example... What is happening now has affected the legitimate government of Catalonia, and this has happened in an era when there are more means to communicate it. When they imprisoned the government. Everything that happened from November 1 to 3. When we received the summons, the trip to Madrid, the appearance in the National Court, that endless wait, the prison order... When I saw them the next day, that was probably the hardest moment ... That image when they were still in suits, unshaven, no tie, no laces in their shoes, no belt... I also saw Puigdemont in prison, but maybe I was already immune to it because I had seen the rest of the government in prison. 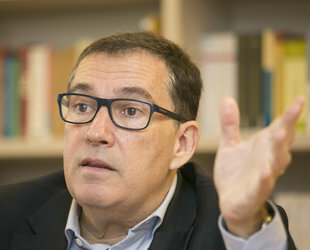 Jaume Alonso-Cuevillas (Barcelona, 1961), the son and brother of lawyers – his father put an end to the family tradition of doctors – has what is known as an extensive professional career in the legal world and at university as a Full Professor of Procedural law. When I enter his office for the interview, he is answering a call in relation to a mark he has given one of his students – a 7. And before we finish the conversation he has the producers of Mediapro waiting for him to do a new documentary. He practices as a lawyer, teaches at university, was the youngest dean of the Bar Association of Barcelona, president of the European Federation of Bar Associations, began to study economics at the age of 50, obtaining top marks in all his subjects – when he defended the Barça board of Joan Laporta against the lawsuit presented by then president Rosell, so now we are aware of his vast communicative skills. He is friendly and ironic and has become well-known via the media – in which he has translated the legal concepts behind the Catalan independence process – and now his name is being put forward for the European elections. For over a year now, however, his main job has been as lawyer to president Puigdemont. As a result his Twitter account has multiplied and reached over a hundred thousand followers.